Exclusive Online Tyre Pricing at Kwik Fit Shop online at Kwik Fit today and enjoy fantastic savings on competitive tyre prices. 10% Off Plus Free Dashcam with 2 Michelin Tyre Orders at Kwik Fit Get yourself this great freebie when you buy 2 or more Michelin Tyres at Kwik Fit. Free Lifestyle Voucher with Continental Tyre Orders at Kwik Fit Keep your motor in top shape with this great deal from Kwik Fit and enjoy a lifestyle voucher. Full Car Servicing from £147 at Kwik Fit Keep hassle free, and get your car serviced at the reliable Kwik Fit starting from just £147. Air Conditioning Recharge & Service from £59.95 at Kwik Fit Stay cool with this great deal from Kwik Fit and get air conditioning recharge and service from only £59.95. Free Winter Safety Check at Kwik Fit Give your car the love and car it needs this Winter and ensure you stay safe with free Winter checks at Kwik Fit. Free Winter Kit with Orders of 2 Michelin Tyres at Kwik Fit Keep your motor running this Winter with this great deal from Kwik Fit and enjoy a free Winter Kit. Free Brake Check at Kwik Fit Make sure your car is safe on the roads with a free brake check from Kwik Fit. Free Exhaust and Catalytic Converter Inspections at Kwik Fit Big trip ahead? Have complete peace of mind, and get your exhaust checked for free at Kwik Fit. Since 1971, Kwik Fit has been setting new standards for quality of service in the automotive industry. They are your reliable stockist of top of the range tyres from reputed brands to suit all types of vehicles and budgets. From everyday to seasonal tyres; they know how to prepare your vehicle for the road , even in the more challenging of conditions. They have always had a high customer satisfaction rate and are dedicated to ensuring that you can enjoy and get the best use out of your automobile whilst safe in the knowledge that your journeys, however long, won’t be interrupted by car failure. It’s not all about tyres and fittings, with lots of other services on offer too including MOT checks, engine treatments, brake testing, diagnostics and more. Find your nearest Kwik Fit centre in a flash by using the 'Locate A Centre' tool online. Keep your car happy with a Kwik Fit service, starting from as little as £79.95, or save when booking with an MOT. How do I use my Kwik Fit discount code? "Why not book both your car service and MOT online at the same time to help you save money a time in the long run, and kill two birds with one stone?" Kwik Fit offers a hassle-free way to get new tyres without disrupting your day. Their Mobile Tyre Fitting service lets you order tyres at exclusive prices online before their quality assured fitting technicians come straight to you. Whether you’re at home or at work - there are more than 200 mobile fitters across the nation who will be able to get you back on the road in a flash. Whether you have a 4x4 or a caravan, with over 60,000 tyres in stock from highly accredited brands – they will have the right ones for you. Now you can get new tyres in no time and puncture repairs too. With booking times available from Monday to Saturday – you won’t have to go out of your way with Kwik Fit. Does Kwik Fit repair tyres? Kwik fit offer tyre repairs as an alternative to replacing a damaged tyre if the tyres meet The British Standard reflected by Kwik Fit. The experts at Kwik Fit will be able to tell you if your tyre is repairable after an assessment at your nearest Kwik Fit garage. The cost of a Kwik Fit MOT starts at £27, with the options for a service plus MOT. For all price information, and an exact price for your vehicle, book your service online at Kwik Fit. Use the Kwik Fit online booking system to get your winter tyres fitted or removed from your car at your local Kwik Fit Garage. Book your appointment securely through Kwik Fit Tyre Swap. 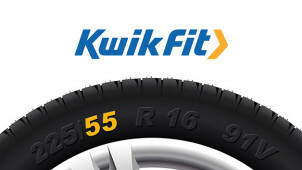 To find your nearest Kwik Fit, you're best bet is to use the Locate a Centre page on Kwik-fit.com. Here you'll also be able to find opening hours for each Kwik Fit store. Kwik Fit is your reliable high street autocentre, providing a variety of quality services and repairs in the UK. Now you can save some cash on your auto repairs so you’re ready to hit the road for less, thanks to a Kwik Fit offer code from vouchercloud. The friendly experts offer MOTs, services, tyre fitting, wheel alignment and much more - all to the highest of safety standards. With over 600 centres nationwide, Kwik Fit should always be your convenient autocentre of choice. Kwik Fit is the UK’s Number 1 MOT Tester. Getting your MOT done when it’s due is essential to ensure your car is legally road-worthy, and with a Kwik Fit MOT starting at just £27 you can get great value for money. What’s more, you can save even more if you book your MOT in combination with a service. You can also sign up to Kwik Fit’s handy MOT Reminder Service, which will notify you when your MOT is due via email or telephone. Just another way Kwik Fit keep you rolling on the road in 2017! Take good care of your tyres, and your time spent on the road will be safer. Kwik Fit supply a variety of well-known branded tyres including Michelin, Pirelli, GoodYear and much more, with a range of sizes and prices to suit your vehicle’s needs. By buying your Kwik Fit tyres online, you’ll enjoy even bigger savings with a Kwik Fit discount code from vouchercloud. Kwik Fit is committed to offering motorists competitive tyre prices, so you can afford to purchase a set of all-seasons tyres to keep your car performing whatever the British weather!